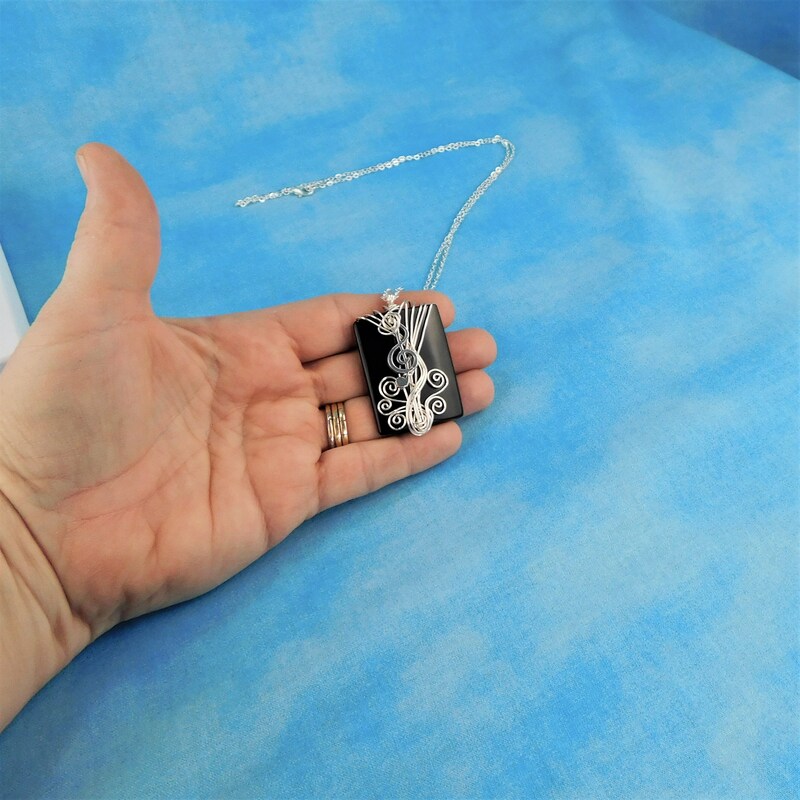 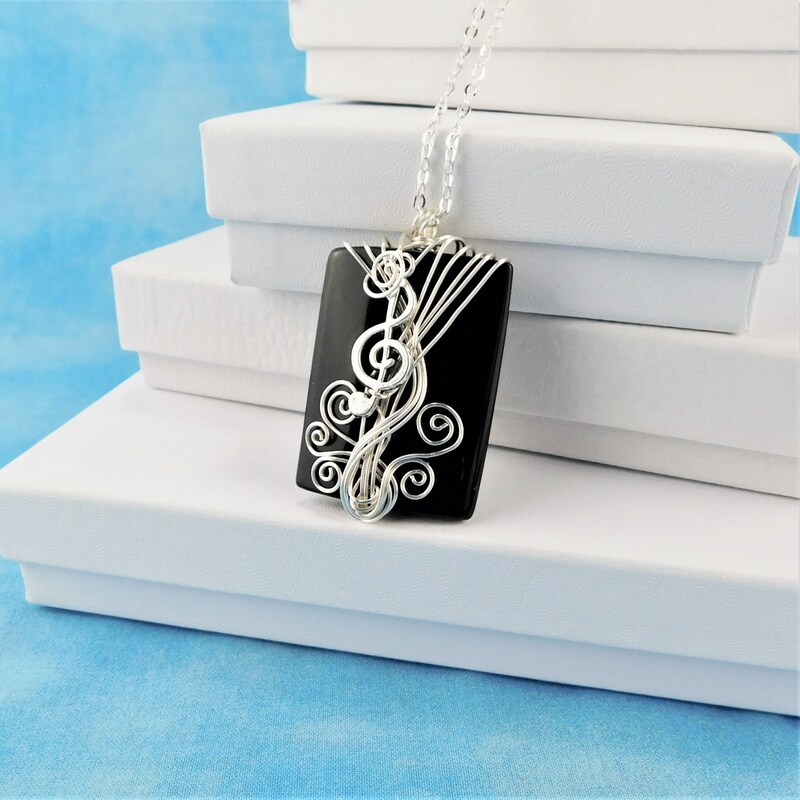 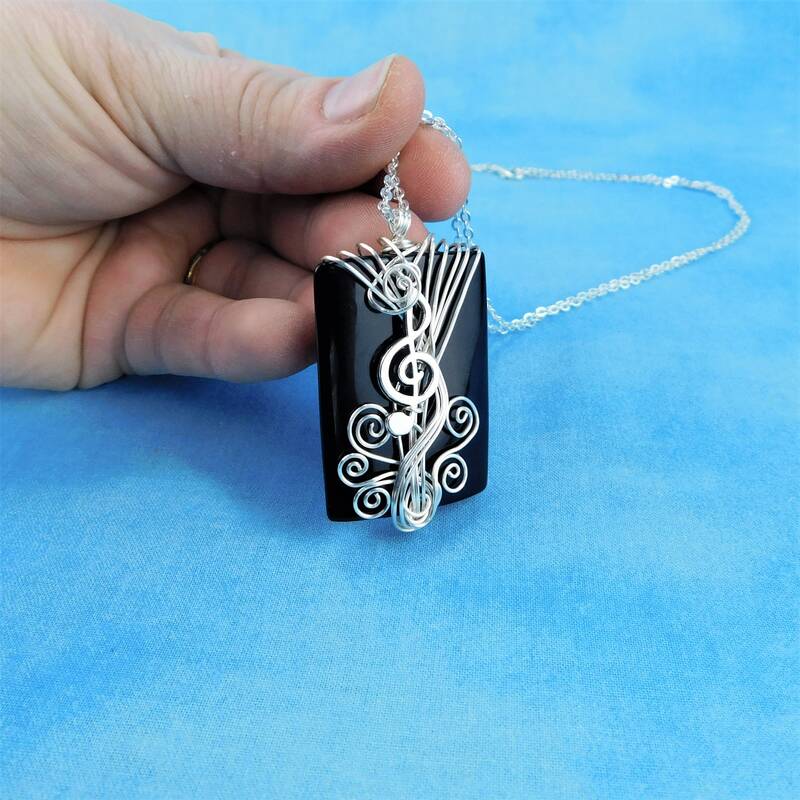 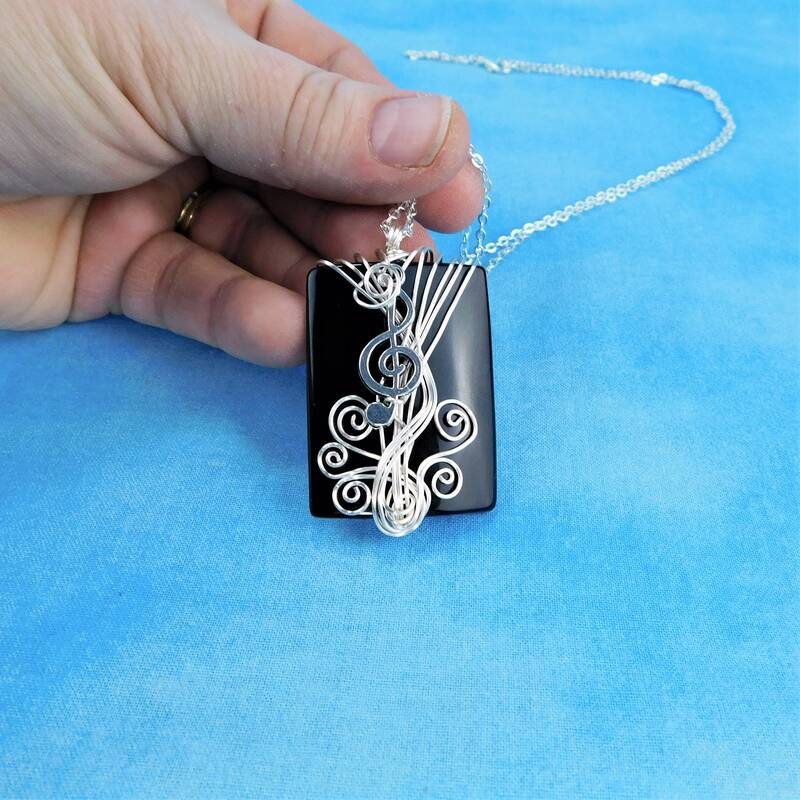 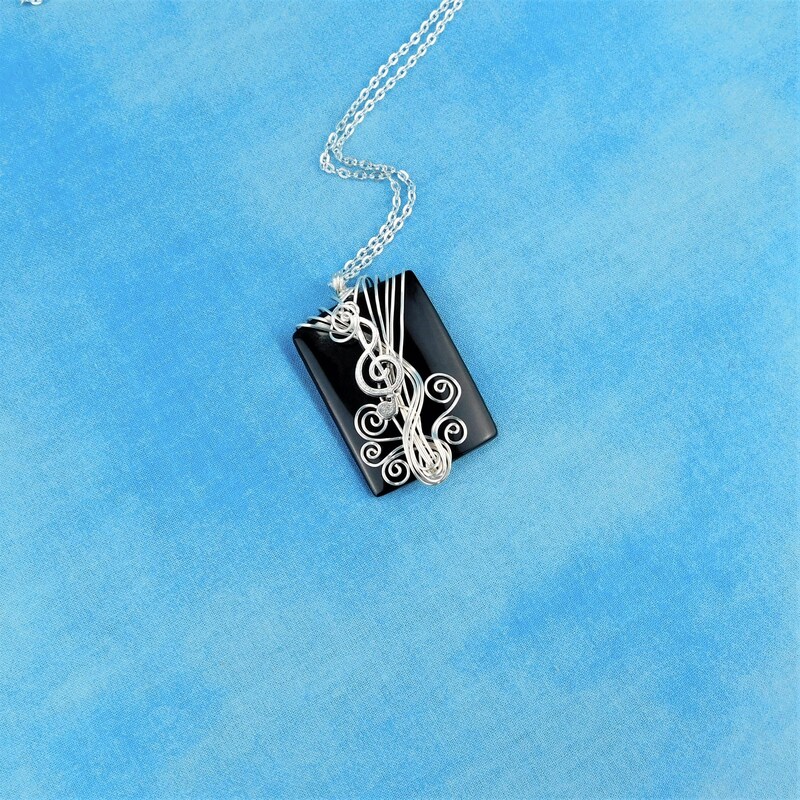 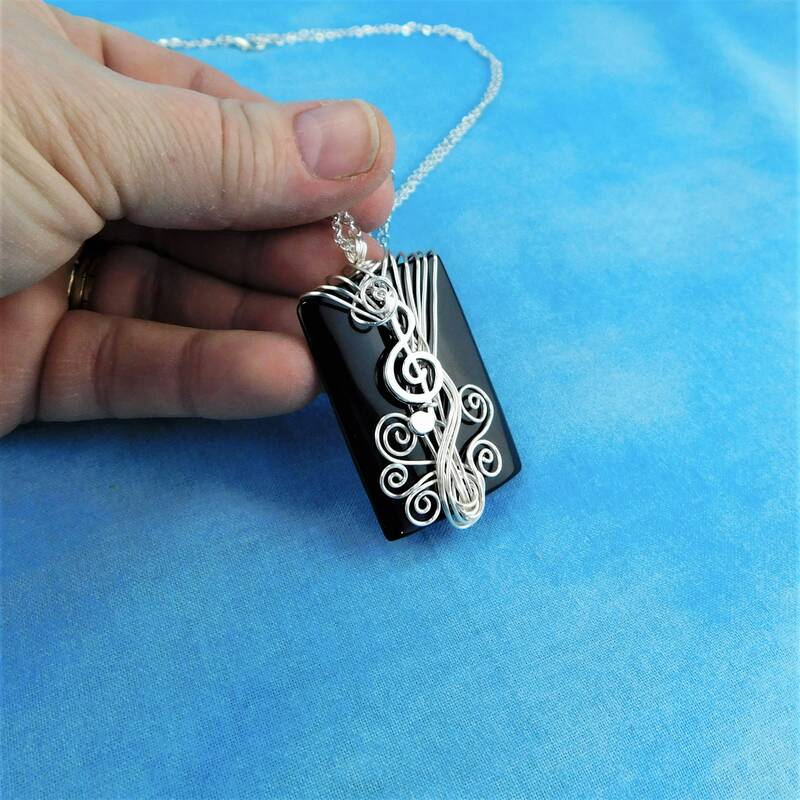 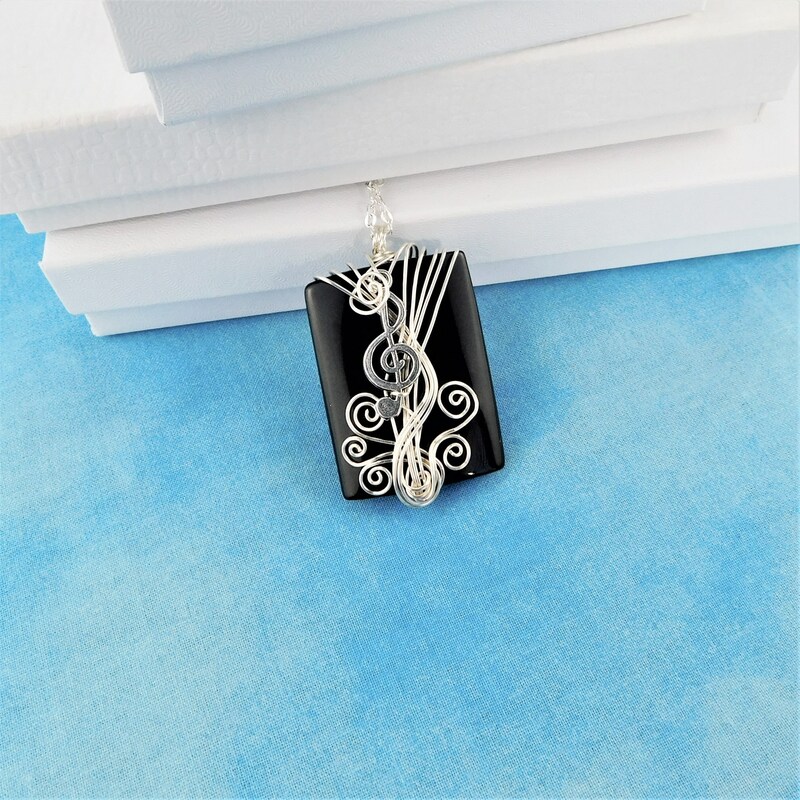 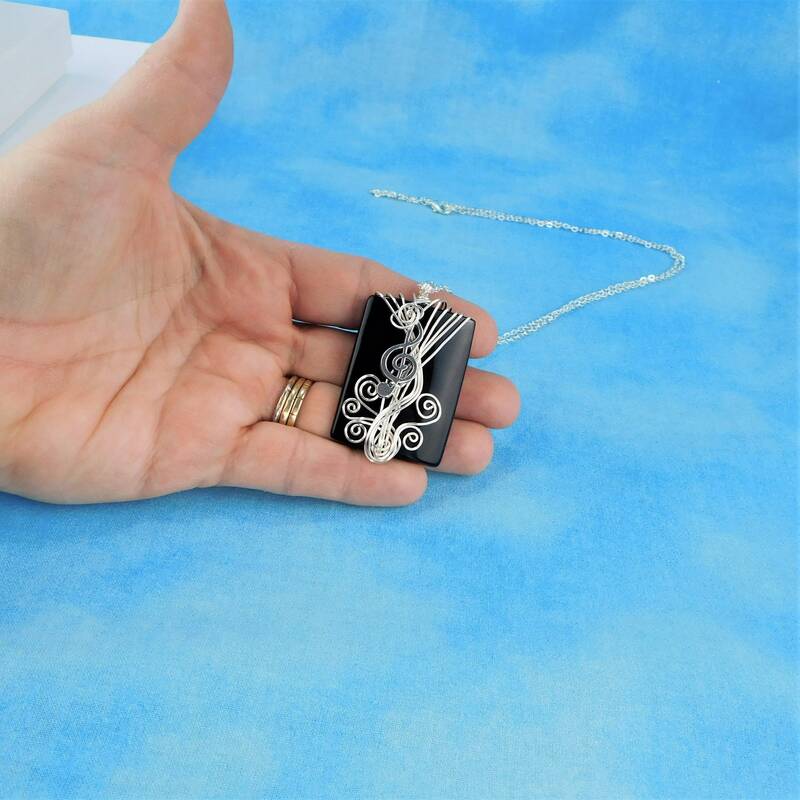 A large rectangle shaped black onyx stone is artistically hand wrapped with non tarnish fine silver over copper wire, creating a musical staff with a treble clef. 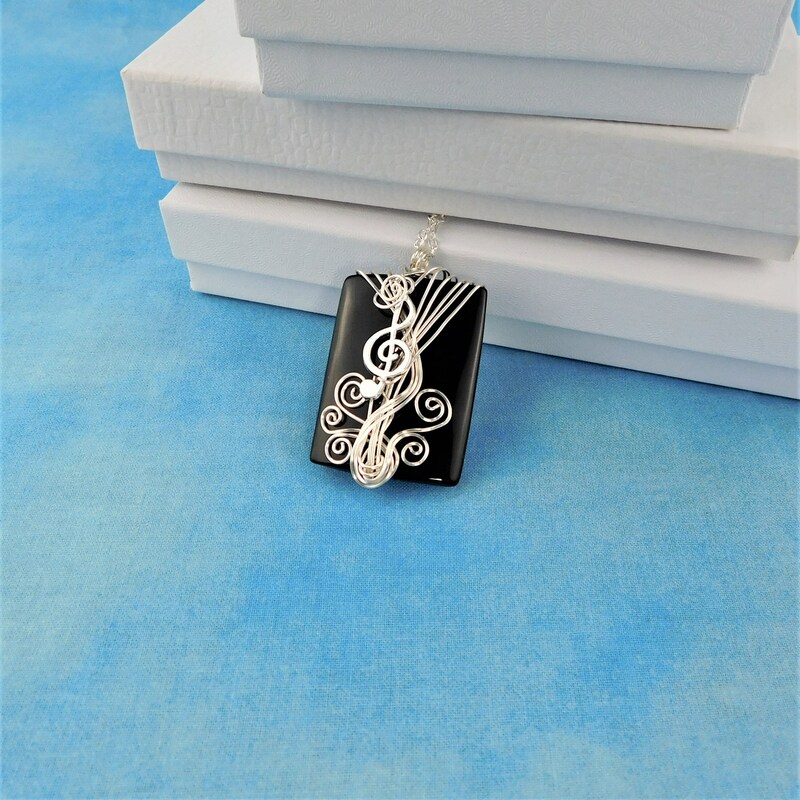 This is a perfect gift for a music lover, a music teacher, or any musician on your list. 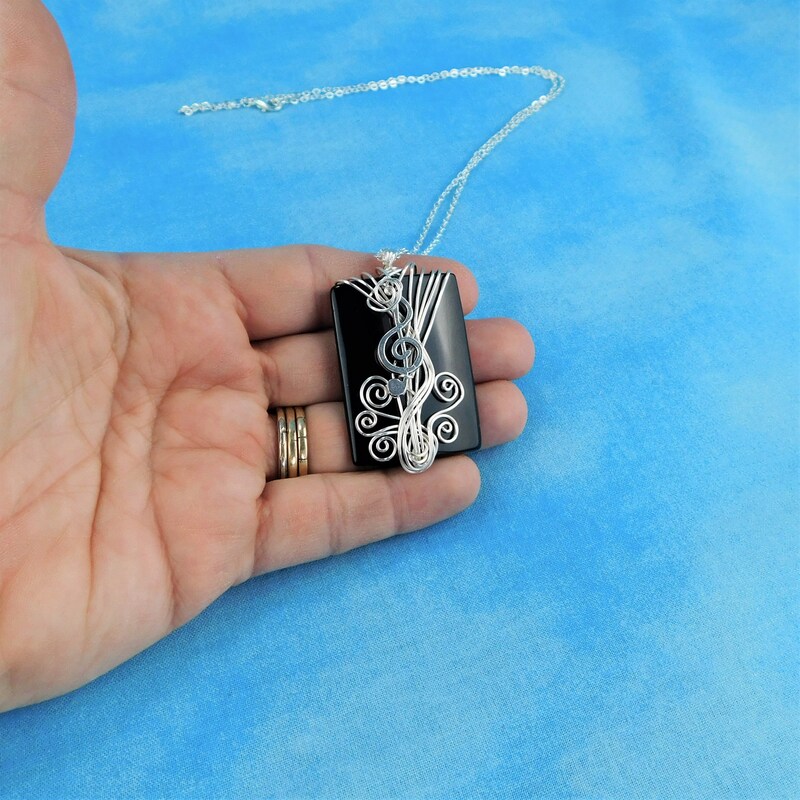 The pendant measures 1 1/2 inches by 1 1/4 inches and comes with a FREE coordinating chain with lobster clasp, measured to your preferred length.